First come, first served (until supplies run out). Children must be present to pick up supplies. ID required for each child. Backpack donations especially needed. Volunteers welcome. Set up is August 15th. 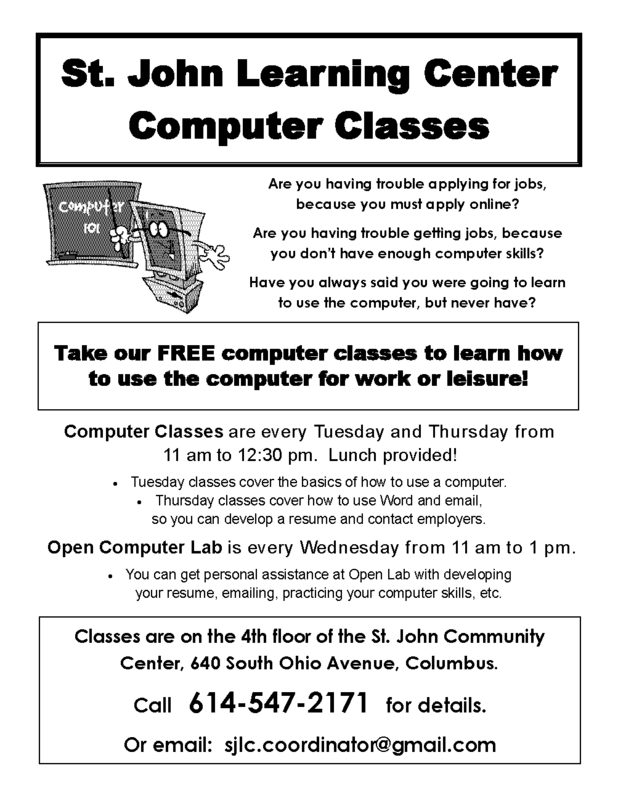 For more information or to donate or volunteer, please contact Violet Jackson at (614) 252-5926, ext. 200. 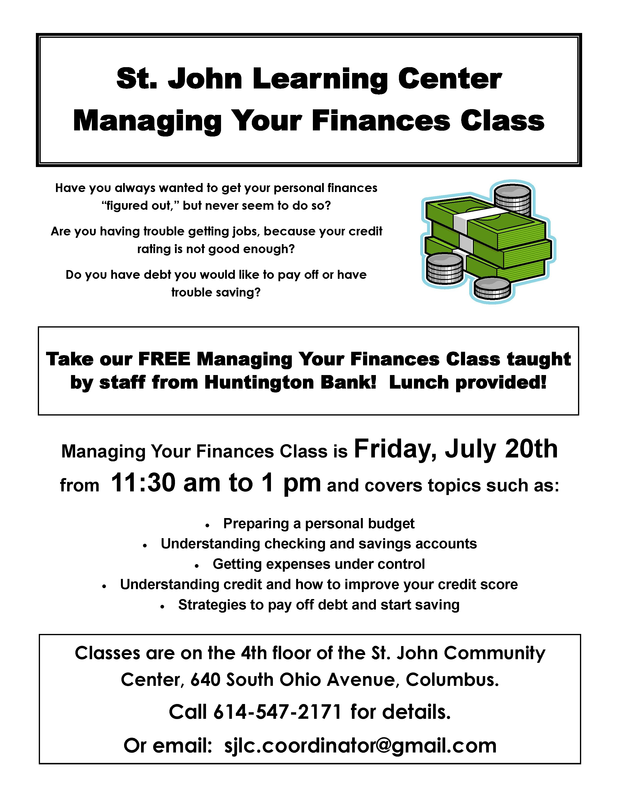 Just a reminder that our personal financial management workshop is today (July 20th) from 11:30 to 1:00. Lunch provided. 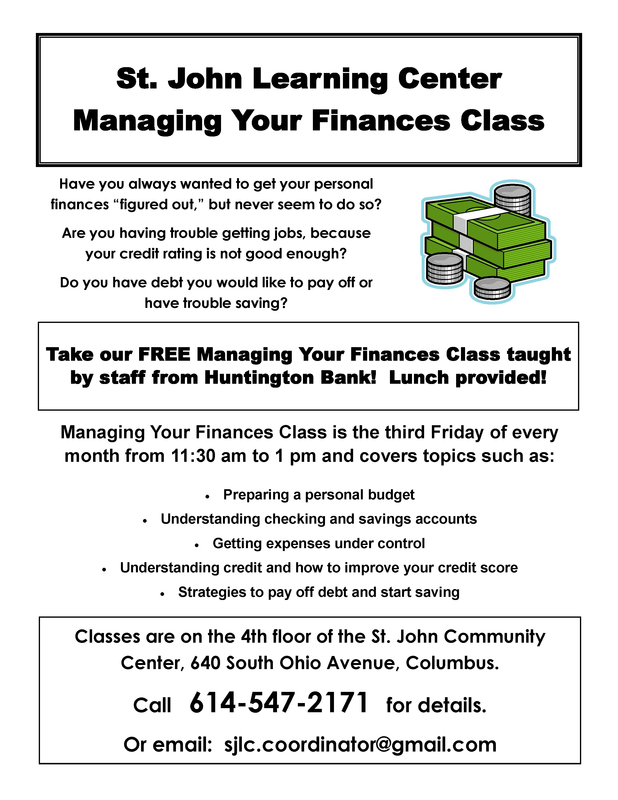 St. John Learning Center Computer Classes and Personal Financial Management Classes have started! See flyers below. Please share them far and wide! If you would like paper copies to distribute, please contact us at the number or email on the flyers.